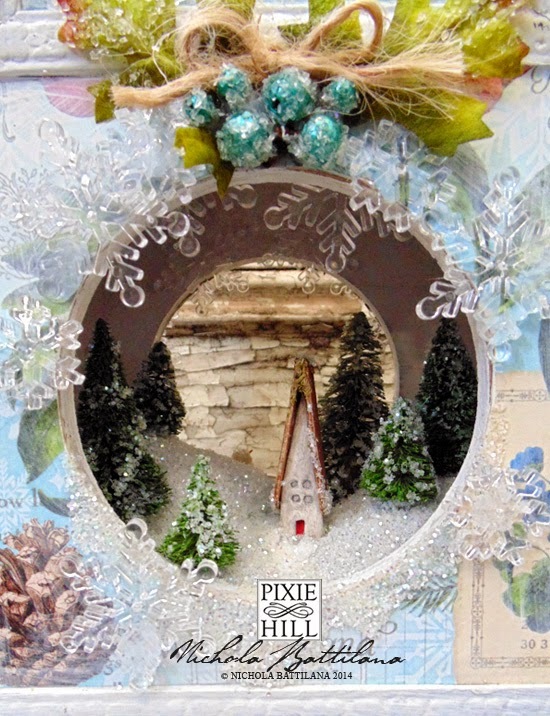 Pixie Hill: A tiny winter wonderland! I am very fortunate to know many thoughtful people who collect all sorts of 'other peoples junk' for me to make and create with. My cute as a button neighbour brought me a clock box the other week and I knew right away that I wanted to place a little winter wonderland inside. I whitewashed the exterior and gave it some distressing. I've used January Flourish from Graphic 45's newest collection Time to Flourish (which is absolutely LUSH by the way... seriously) and Ladies Dancing from their 12 Days of Christmas line. I then applied another whitewashed layer. 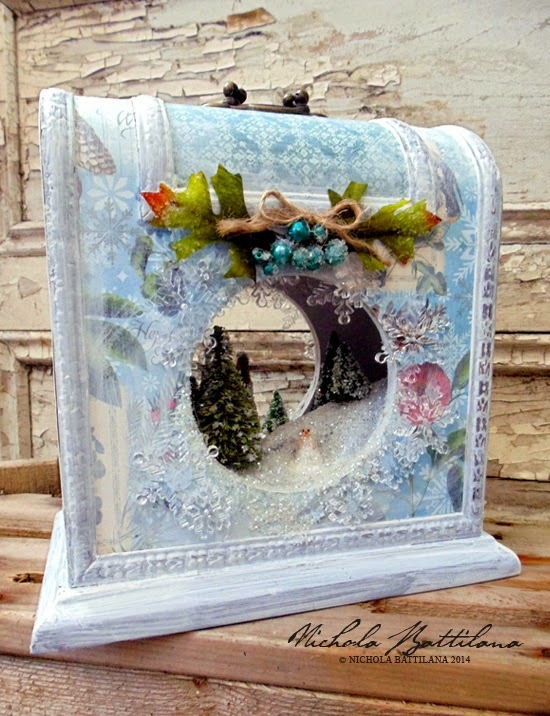 Inside is filled with glittery snow and bottlebrush trees. 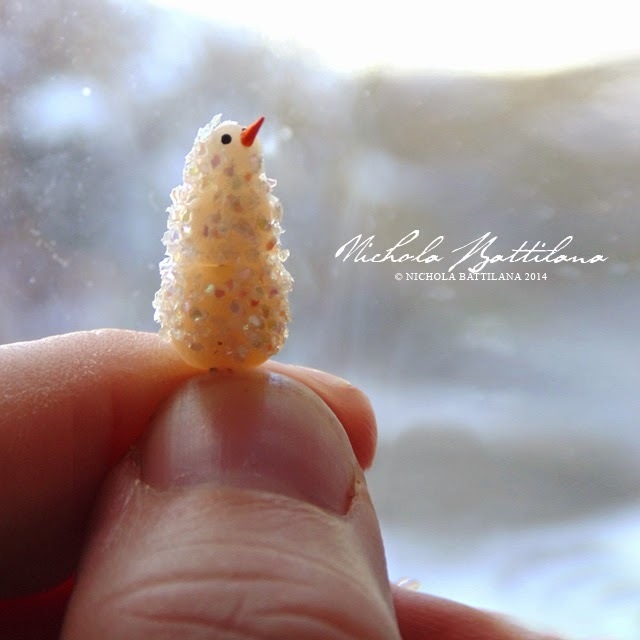 The piece can be viewed from both sides so one side features a handmade cottage and the other a tiny snowman. Outside I've placed some inexpensive acrylic snowflakes and some Sugared Berry Clusters from Petaloo. I'm in winter wonderland love! That is adorable! This is just absolutely, stunningly beautiful!!! So creative!!! Thank you for sharing it!!! WOW Amazing piece. It's so beautiful. 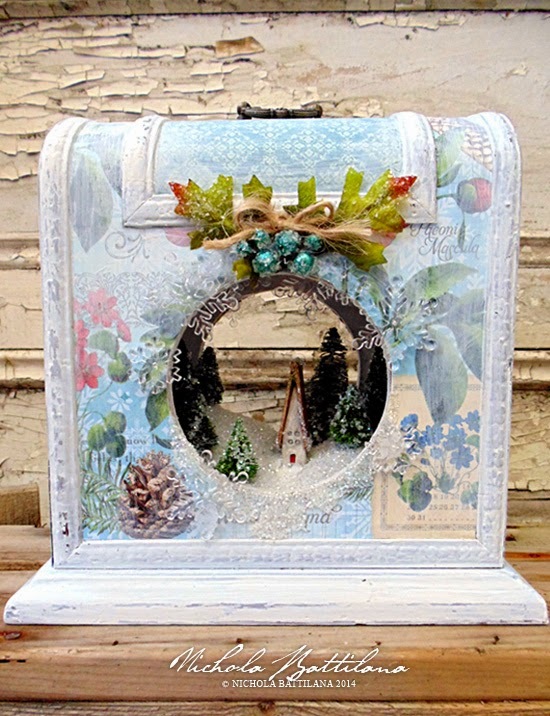 oh sooo pretty wished I could see a before picture this is an unusual clock case. Very, very nice!!! !